Drain and rinse all beans with cool water, place in a large bowl. For the dressing, zest the rind of the lemon and set the zest aside. Place a strainer over a medium bowl and juice the lemon (no seeds allowed in the dressing). Add the basil olive oil, extra virgin olive oil, garlic powder, and black pepper to the lemon juice and whisk lightly. Poor the dressing over the beans and mix well. Plate a portion of the Three Bean salad. Cut avocado in half, pit the avocado, and peal skin off gently. Slice avocado into ½‘’ slices and place on top of beans. 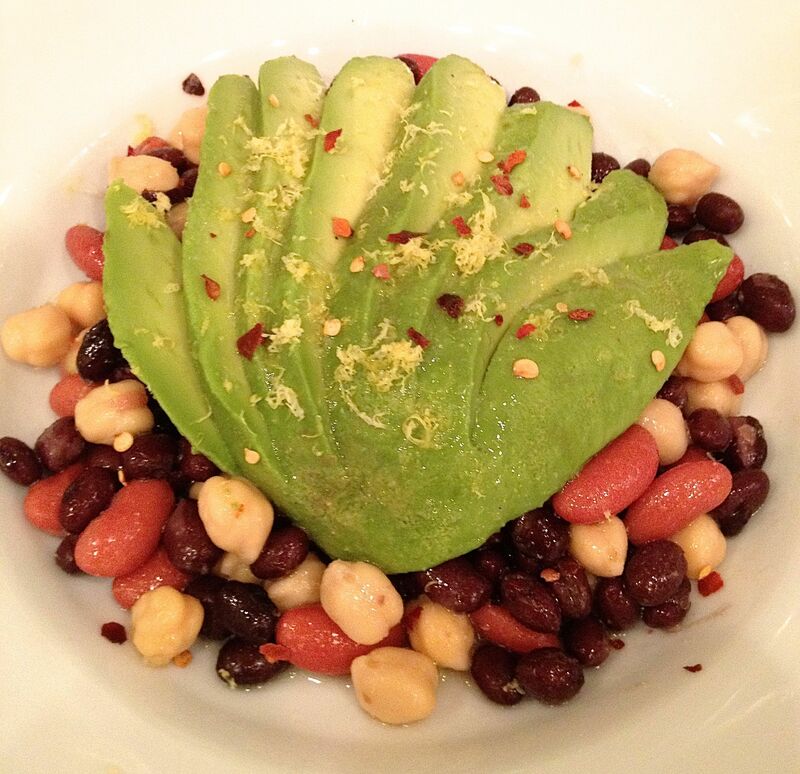 Sprinkle a little lemon zest and red chili flakes atop the avocado and beans. Eat, savor the flavors, and enjoy!